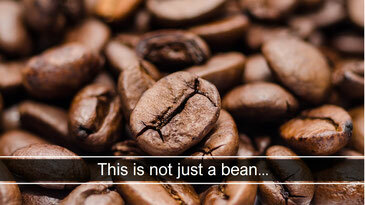 This is not just a bean, it's a coffee bean. This is not even just a coffee bean, it's an espresso. And beyond that espresso, it's a sunny afternoon in a French Bistrot on the Champs Elysées. For me, it's a special 'me time' when I savour life! FEEL the coffee-warmth gliding down your throat. Close your eyes and FEEL the warmth of the sun on your face. Your subconscious mind doesn't make the difference between reality and imagination! Involving your five senses increases your emotional connection with any experience. Enjoy a coffee anytime, anywhere!